It’s time guys! Thanks to the awesome work of Jutsuki Sen, we now have the 3rd patch of Altered Fable! 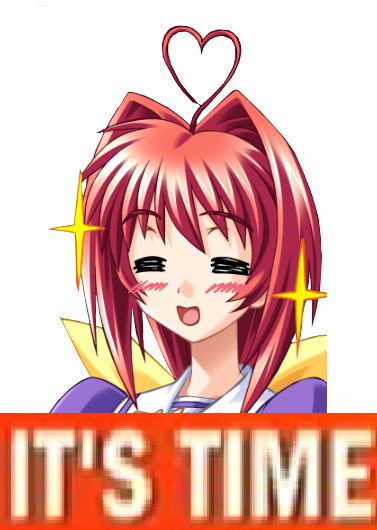 In honor of the return of America’s Greatest Counter-terrorist (TM), it’s time for Muv-Luv Altered Fable’s long-overdue third partial patch! After many months and over 12,000 lines of text later, it’s finally ready to go. This new patch has typeset signs integrated into the game, but I’ve left some of the less important ones/ones that require no knowledge of Japanese untranslated for now. Also, there will be some glitchy images with artifacts; you’ll have to bear with me until I sort out why the artifacting is happening. Also, some of the menu images I’ve typeset are kind of a rush job; I’ll get around to making less janky ones at a later date. There are some known crash bugs; check the FAQ for details. Also included are a volleyball guide and a general route guide. I’d recommend playing without the route guide first, though. As always, let me know if you find missing(untranslated) lines. I’m sure there are plenty of them, given the nature of the beach arc. Remember to thank Sen as you enjoy this guys! That’s what we’d all like to know. I also have safe mode enabled (it asks you to enable after crashing), but at the same time I have bgm, voice, sound effects enabled. I’m not sure if it’s a side effect of Windows 10, but quite a few lines are not translated, even very early on in the game. Done all that and sadly it’s still breaking in Faraway Dawn (crashes on the display of the Tank-class BETA). Stupid Windows 10.